The latest development in crowns is the growing trend toward one day crowns. With people having such busy lives it can make it a hassle to schedule multiple dental visits, which is why a one day crown is a perfect solution. 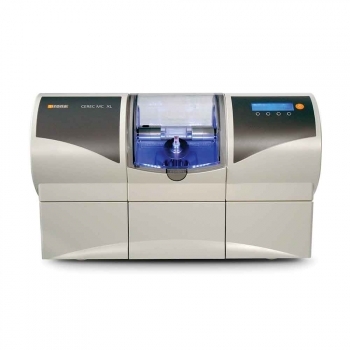 New technology from the CEREC Corporation makes it possible to get a crown replaced in a single appointment. In addition to the first step crown measuring process, a certified dentist a digital image of your tooth, a 3-dimensional image of a crown is created and then the crown can be sculpted from ceramic right in the dentist’s office. If choosing the one-day option, make sure your dentist has the proper, extensive training to perform the procedure. One of the most widely used restorative and cosmetic dentistry tools is a dental crown. That’s because a crown can provide an amazing and long-lasting solution to damaged or broken teeth. Sometimes a tooth is so badly damaged, it can’t hold a filling. It could be from an unusually large cavity or other damage. The crown is actually a tooth shaped cover that is placed over the damaged tooth. A crown can hold together the parts of the broken tooth. We use crowns for other issues too, like holding a bridge in place, or cosmetically, to change the shape or color of a tooth. If we are not able to make your crown on the same day, custom crowns are made from an impression that the dentist takes after shaping the damaged tooth. After the impression is made, it goes to a lab and the actual permanent crown is made. Once the custom crown is made, it is cemented to your tooth. Sometimes, where there is severe tooth damage, endodontic (root canal) treatment must be completed first. This is not always the case, but something your doctor will check into before moving forward with the crown. Regardless of the type of crown you select, crowns are very durable. They can last seven to 40 years depending on how well you take care of them. Crowns are just one way that damaged teeth can be repaired to give you a beautiful smile. If you have questions or just need more information, contact the professionals at Dental Touch Associates and schedule an appointment.